Lihue is a city in the U.S state Hawaii. It is the second largest town on the Hawaiian Island of Kaua'i. The city's name Lihue means "cold chill". It was a minor village before it grew into a small city. It is the county seat of Kaua'i County and is also home to the county administration building. The city is also the cultural and business center of Kauai. 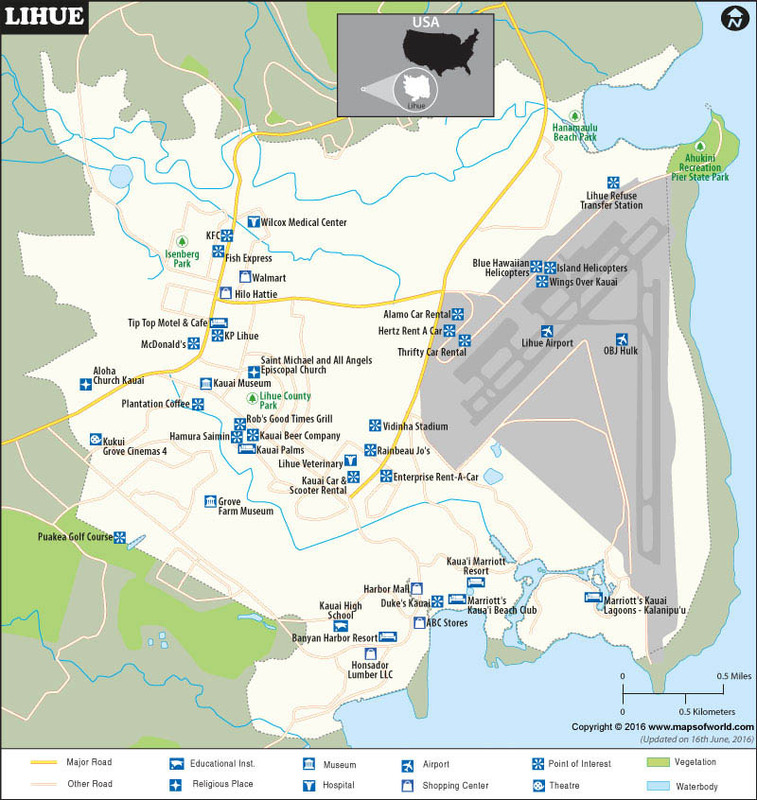 Lihu'e Airport serves the city. Nawiliwili Bay, the main seaport for Kaua'I which handles cruise ships is another means to access the city from other parts of the world. Cars, taxis are also available in the city.